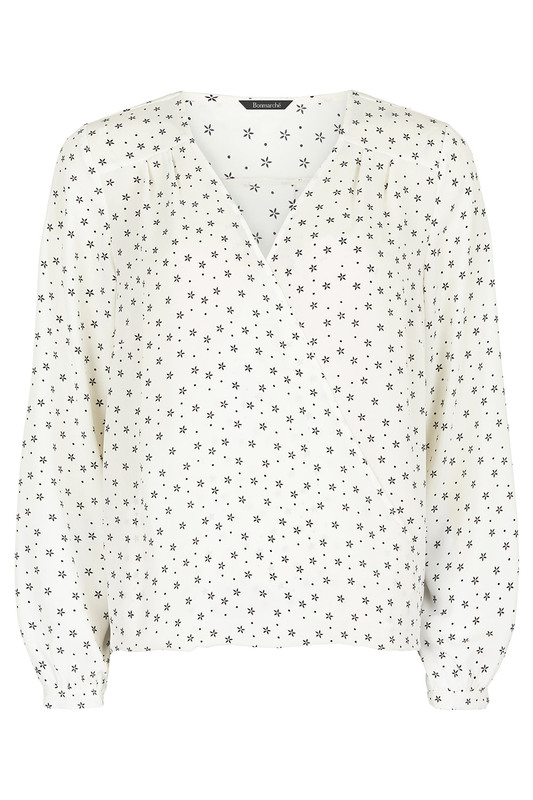 With its delicate star print and elegant, draping cross-front design, this is the perfect piece to take you from day to night. 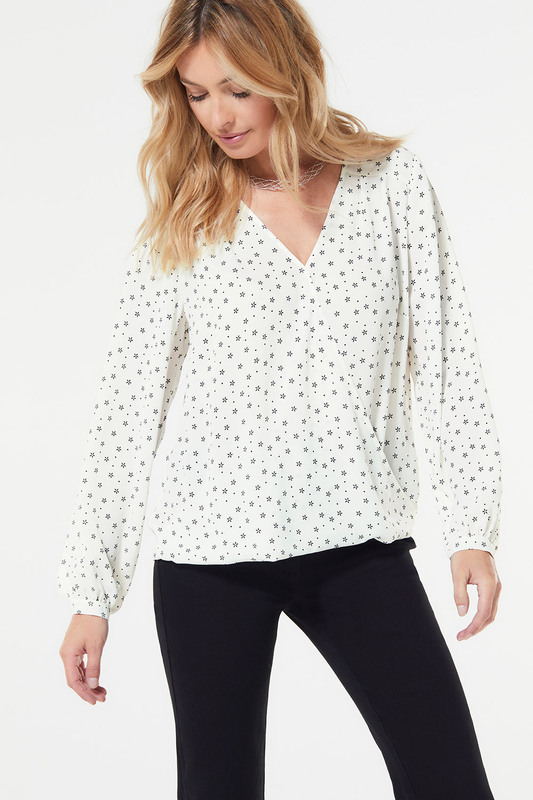 The light blouse cuts a feminine silhouette, with a tucked hem that looks great left loose or tucked into a skirt or trousers. 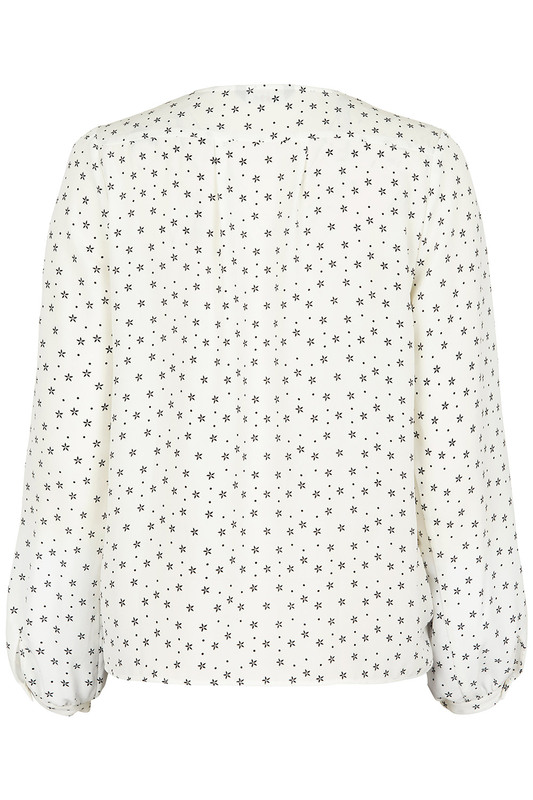 The long, loose sleeves and the V neck make for a flattering and sophisticated look.